and achievement through collections, exhibitions and programs. Date & Time: Sat., Feb. 9, 10 a.m. 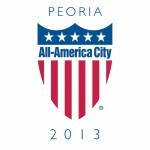 Location: Int’l Gallery · Peoria Riverfront Museum · 222 S.W. Washington St. · Peoria, Ill.
PEORIA, Ill. – More than 200 of the world’s most significant waterfowl decoys, including rare birds on loan from Vermont’s Shelburne Museum, Maryland’s Ward Museum and private national collections, along with 100 related artifacts, will go on display at the Peoria Riverfront Museum when “American Decoy: The Invention” exhibition open Feb. 9 (through April 28). “For the first time ever, in the largest museum exhibition of its kind ever organized, the Peoria Riverfront Museum is bringing together a number of the world’s most prized decoys from some of its most prestigious and comprehensive collections,” said John D. Morris, museum president & CEO. The exhibition tells the story of this uniquely American invention first created by indigenous tribes 2,000 years ago to attract sustenance from the skies. Often called the finest visual art form ever created in the U.S. the decoy has become an object of art, history and storytelling, sought after by collectors worldwide. Celebrating carving in the Illinois River Valley and beyond, “American Decoy: The Invention” features iconic decoys by famous American artists, many of whom lived in central Illinois along the Illinois River, including Charles H. Perdew (Henry), Charles Schoenheider Sr. (Peoria) and Robert Elliston (Bureau). One of the highlights of the exhibition and considered the “Holy Grail” of collecting, is the “Dudley Ruddy” duck, by carver Lee Dudley (1860-1942), on loan from the Shelburne Museum. The Peoria Riverfront Museum created the exhibition with objects from its permanent collection and key works from the collections of Tom Figge, Joe and Donna Tonelli, Ted and Judy Harmon of Decoys Unlimited, Inc., Ward Museum, Shelburne Museum and Illinois State Museum. The exhibition is curated by Zac Zetterberg, Assistant Curator of Art at the museum. “American Decoy: The Invention” is sponsored by DVI, Ducks Unlimited through a grant from the Miles C Hauter Foundation, Sid and Flo Banwart, Bob and Jean Gilmore, Doug and Diane Oberhelman, and the Visionary Society. Entry to the exhibition is included with regular museum admission: $11 adults, $10 seniors (60+) and students (with ID) and $9 youth (3-17). For more information on the exhibition or about the museum, call 309.686.7000 or visit RiverfrontMuseum.org. The only multidisciplinary museum of its kind in the nation, the Peoria Riverfront Museum uses art, science, history, and achievement to inspire confidence, lifelong learning, and talent. Since opening in 2012, the privately funded museum has provided more than one million experiences through major exhibitions, a permanent collection, interactive galleries, a dome planetarium, giant screen theater, and educational programming including curricula-related student visits. The AAM-accredited, Smithsonian-affiliated private nonprofit museum is supported by more than 4,000 members and donors, and is housed in a county-owned LEED Gold-certified building on a campus overlooking the Illinois River. The museum has been designated one of the 200 great places in Illinois by the American Institute of Architects.